Well as you all know we were shut down due to Harvey and all the rain canceled quite a few trips, but as you can see we are back up and running. Capt. Drew’s scouting trip with Uncle Kerry and cousin Kim was awesome limited out caught and released a few!! 9/4/17 sorry no pics. 8/9/17 Capt. Brian Tristan and Mr. Boudreaux was at it again limited out with a (3) man limit 15 Reds by 10:00. Tristan with his redfish and that awesome smile. 8/8/17 Capt. Brian had a good day today with Tristan and grandpa Mr. Boudreaux they crabbed a little, fished a little, and crabbed some more. 9 Reds, 1 flounder, 1 gar and 6 doz. crab. 8/5/17 another great day for Capt. 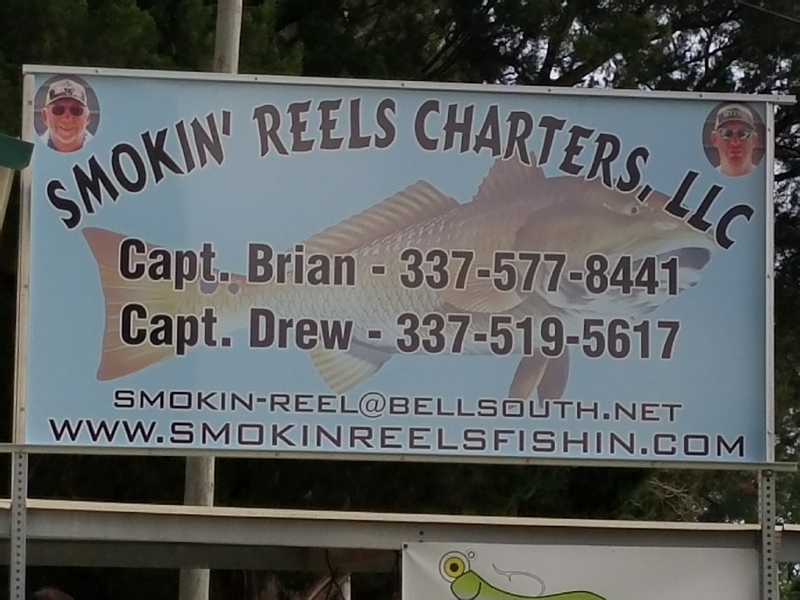 Drew Romero with Smokin’ Reels Fishing Charter. 5 man limit 25 Reds, 1 Flounder for 10 am. another 50-75 caught and released for 11:30 Nothing but Red gold from the gold mine today. Bite was slow but Michael and Skyler still managed to put 13 reds and 1 flounder in the boat. Charter 6/19/17 Jack and Jeromy Cole with their catch limited out with 15 reds. Finished the day with catch and release.